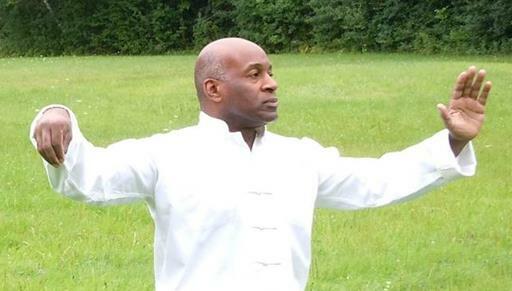 Tai-Chi-Balance: The Art of Stillness In Motion class offered at Camden Public Library, Sunday, December 2, 9, and 16, 1:30 pm. $15 per person, includes all three sessions. Please sign up by calling the library at 236-3440 or emailing Cayla Miller at cmiller@librarycamden.org. Space is limited, please be available to take all three sessions. A contemporary wellness practice that incorporates the principles of: Tai-Chi, Yoga, Mindful Living, Balance, and brain-body research. An easy and fun way to incorporate lifestyle well-being for all ages and abilities. This course has received rave reviews from students, senior adults, athletes, performing artists, and more. Tai-Chi-Balance was created by John Jenkins who has been inducted into numerous sports halls of fame. John has lectured and trained throughout the U.S., Japan, and the People’s Republic of China. Requirements: Attendees must be willing to laugh and learn. No experience needed.